It’s impossible to not be completely worked after a day at Trans-Cascadia. And that’s not just the racers; volunteers, officials, timers, chefs, media—everyone puts in an equal effort. The final week is the culmination of years worth of work, too. Each race is proceeded by work weekends, months of scouting and many conversations with land managers and local community members. For the individuals behind Trans-Cascadia, putting on an epic, blind, trans-style backcountry stage race is the reward. Opening miles of singletrack and giving back to the Cascadian mountain bike community is the reason—and that’s a lot easier when everyone contributes. The Trans-Cascadia is a blind-format, backcountry race in the wilderness and small towns of Cascadia, USA. 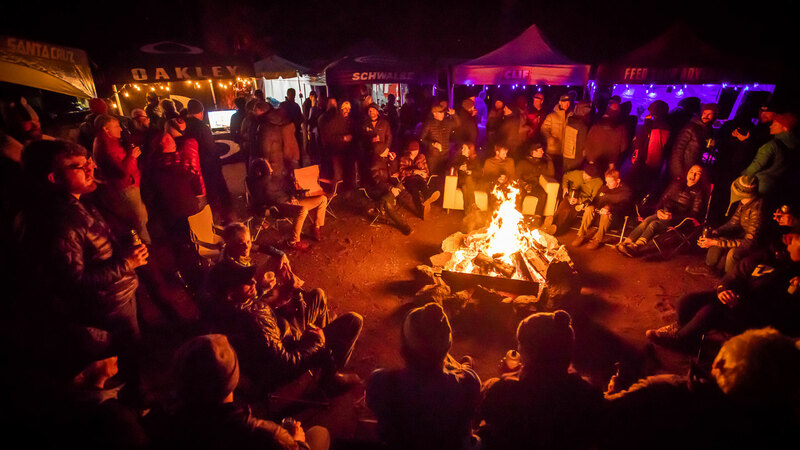 It includes 4 days of racing and a curated backcountry experience of primitive single-track, gourmet food, and social activities provided by the hosts. Trans-Cascadia Inc was founded by a group of long-time, bike-industry professionals that hosted the first race in 2015. The event is part of the non-profit’s larger mission to promote and build sustainable trails in the Pacific Northwest. Their work is made possible by the community of racers, volunteers and sponsors that help put on the event and participate in trail-building days.